I wouldn’t call myself a selfish knitter, I’m really just not into making things for other people, y’know? I never feel like I have to make a Christmas crafting list in June in order make gifts for every friend and family member, it’s just not my thing. 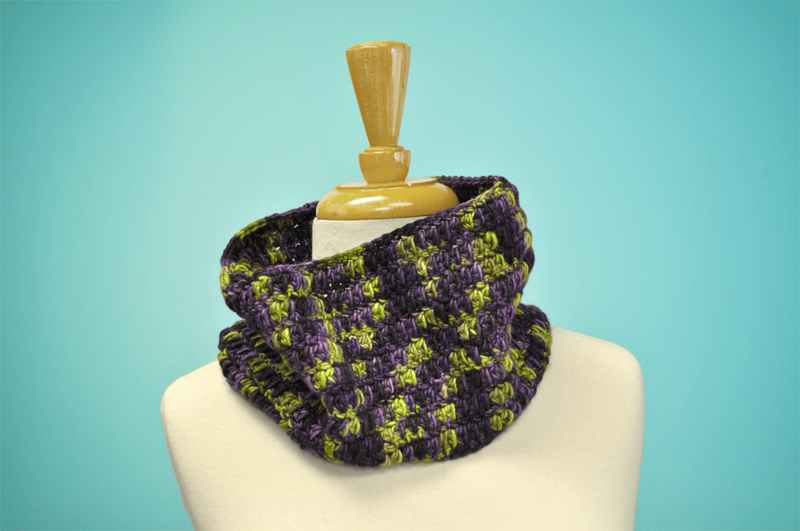 If I see something that strikes my creative fancy, and I just so happen to I think of a specific person, then I trust that instinct and go for it… Which is how this cowl came into existence! While doing my daily four-hour-trawl of Ravelry a few days before Christmas, I came upon this One Skein Cowl by Little Doolally, that had been crocheted in the ever-so-delightful Malabrigo Worsted, in a color adore, and instantly was struck- “I need to make this for Sharice”. Never mind the fact that I am not really a great crocheter, or that I rarely see Sharice, and I’m sure she has never ever requested a cowl, I needed to make this and I needed to make it for her. Divine inspiration and last minute creativity/panic are the sort of feelings I live for. In my mind, I can make anything in a few hours, no matter my level of expertise (or lack thereof). So of course, this actually took me a few weeks, and quite a bit of cursing as I have yet to figure out where to place stitch markers in the beginning of a round in crochet- I’m sure it’ll come to me one day, but I just rolled with the stitches for this project. Anyway, this pattern- I’m in love with it! I am totally obsessed with the puffy cluster stitches and Malabrigo Worsted is perfect for them. I know lots of people dislike single ply yarns, but honestly I think this pattern really shines with a single! This really was quite a simple project, and economical as it only takes one skein of yarn (I made pom poms with the leftovers, and used them as decoration on the gift wrap), and it truly makes a great gift. 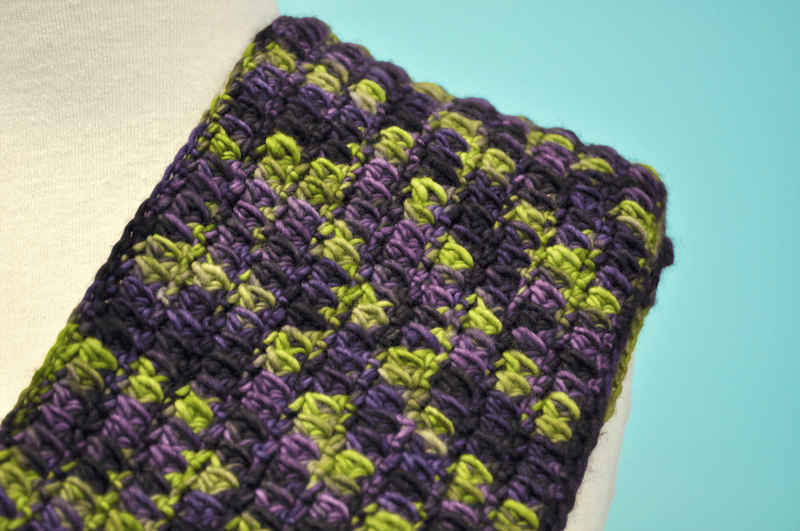 I can’t wait to make more… maybe 2016 will be there year everyone will receive a cowl! 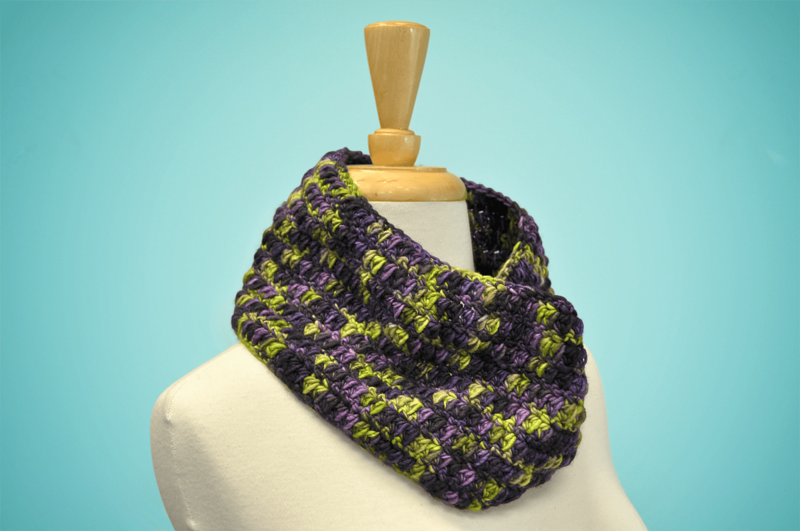 What a great looking cowl and I love the look of the stitch pattern!